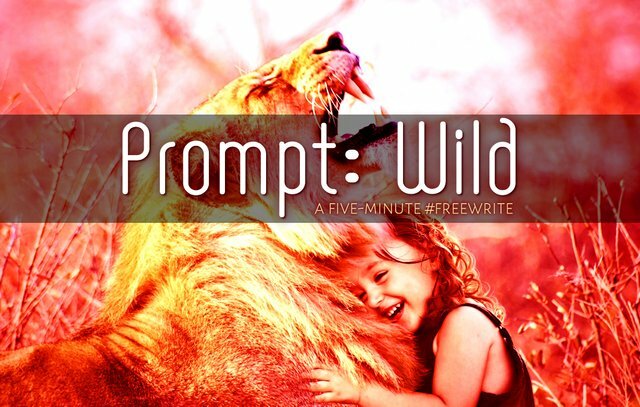 It's Day 521 of @mariannewest's five-minute #freewrite, and I'm still continuing on with trying to integrate the daily prompt with my already existing characters and the world they have lived in for twenty odd years now. I'm quite happy with today's prompt and result! Most of my Book One is finished except for the end and a few bits of flavour to make it less linear, and this, right here, has given me some much needed inspiration for one of my secondary characters who needs a lot more page-time but I've struggled doing anything with her except her very basic role in the story. It was a wild beast that yearned for freedom. Alysse stared into one set of its umber eyes, then turned and peered into its other set. The creature was a plainscat though seemed larger than the ones that roamed the mainland and had two majestic heads atop its lithe body. Both of them lowered, almost reverently, as they approached her. How could such cries of pain radiate from a beast so perfect? Tears welled in her eyes and she lowered a hand to one of its noses. Its fur was soft and its tongue rough as it licked at her hand and peered up at her with forlorn eyes, like the sad eyes of a neglected pup. A flash of gold swirled deep within the pupil-less orbs and her tears disappeared. It's going to be okay, it seemed to be saying. Ringlets of crimson hair fell from the sky and grabbed at the beast, hauling it away within an instant, and suddenly she was alone. Despite having left her family a season ago she had never felt more isolated in her entire life. Her heart twisted and a sob dared escape. She wanted the beast back. It needed to come back. She needed to look after it. It needed to look after her! The sky darkened then re-alighted with fiery hues that matched the deserts that Antohne and papa always spoke of, and she trembled as a high-pitched scream pierced her ears. Half Past the Moonfall - available on Amazon! An interesting story @kaelci and I wish you inspiration to finish your book! Thank you! :) Need all the motivation I can get! Oh man! How many feelings can one have reading a tiny story like this one! Fabulous. That’s a great idea to use these prompts to help you develop your characters and the story that you’re already working on. I may try that too. Thanks for some inspiration! That’s great! It’s funny how restrictions can sometimes be so productive. I’m looking forward to giving this a try. So rich in visuals! I was saddened by the beast disappearing. Nice characterization. Thank you! :) I was saddened by the disappearing beast too... she might be a secondary character but I always tear up when writing her; she's a 7yr old, older than her years, cursed with magic, taken from her family, brutally used for her clairvoyance. She needs more page-time!!!! Oh, and get yourself over to the latest @upvotebuilder post and participate in the contest! 😂 I'm terrible - I didn't even realise they were holding any contests! I'm tagged in their daily thingy, but every time I looked it was just the same stuff so never really looked again. WOOPS!